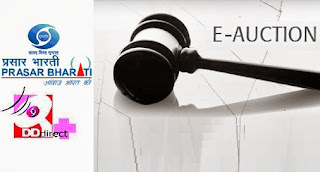 Doordarshan Prasar bharati announced that Due to technical reasons, the next round of e-Auction will be conducted on 10th October 2012. 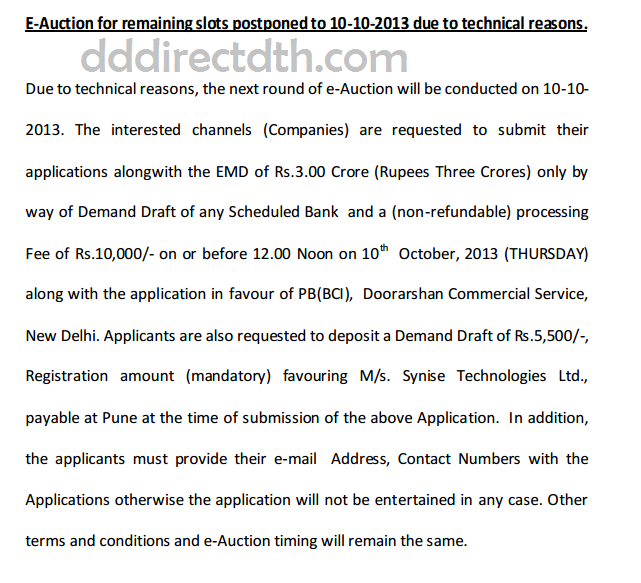 The interested channels (Companies) are requested to submit their applications alongwith the EMD of Rs.3.00 Crore (Rupees Three Crores) only by way of Demand Draft of any Scheduled Bank and a (non-refundable) processing Fee of Rs.10,000/- on or before 12.00 Noon on 10th October, 2013 (THURSDAY) along with the application in favour of PB(BCI), Doorarshan Commercial Service, New Delhi. Please add tamil channels in free to air DTH. Now only DD phodhigai and Zee tamil is available.